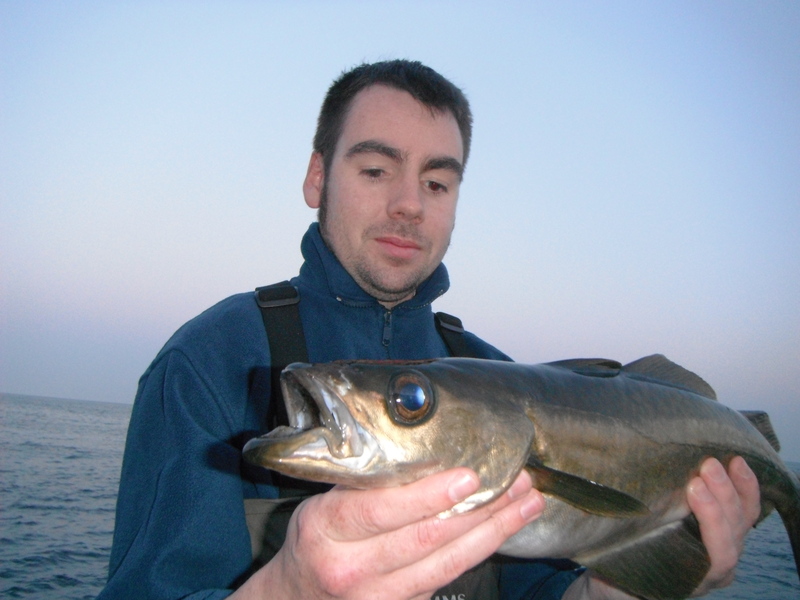 We are currently near the mid point of the Bass Ban, and since the 15th of May we have turned our attention to the hard fighting crash diving Pollock. Care must be taken with these fish if you wish to release them. They are quite soft so care is needed when handling and releasing them. Conditions we favor for these great sport fish are; a medium to strong rising tide into darkness, high pressure and a calm to moderate sea. Tackle is the same as what we use use for targeting Bass, for me that is a Teklon Concept Spin 702L, Twin Power 3000 SFC loaded with 20lb Power Shot and 20lb Flouro Leader. Lures are similar too, the same soft plastic’s generally work well in close, with metal jigs up to 35g being favored for distance fishing. Location will consist of deep water within casting distance, with a good kelp population and some sand patches. 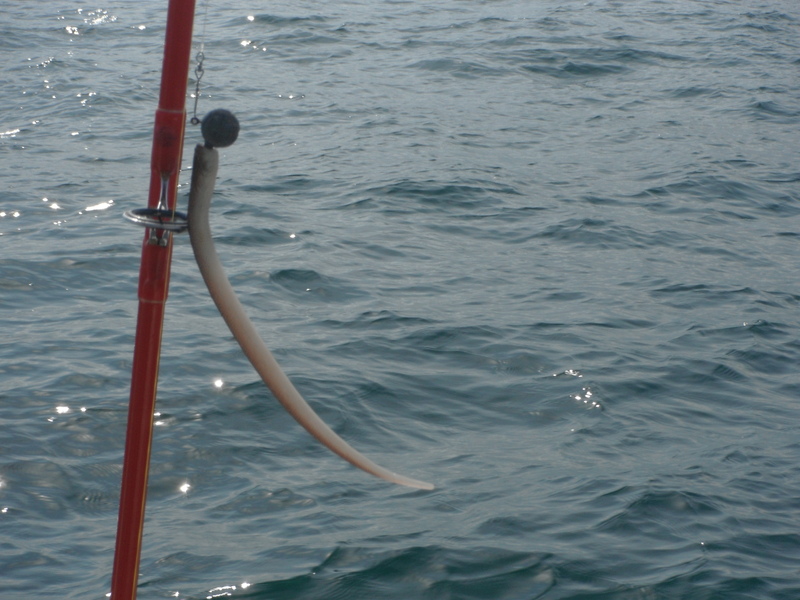 Technique will vary from a quick steady retrieve to sink and draw at various depths. The fist evening we connected with a few fish up to 3lb in close on the SP’s,with Crevan and Pat getting the spoils as I left early for work. They fished a 30min window before the fish moved on. 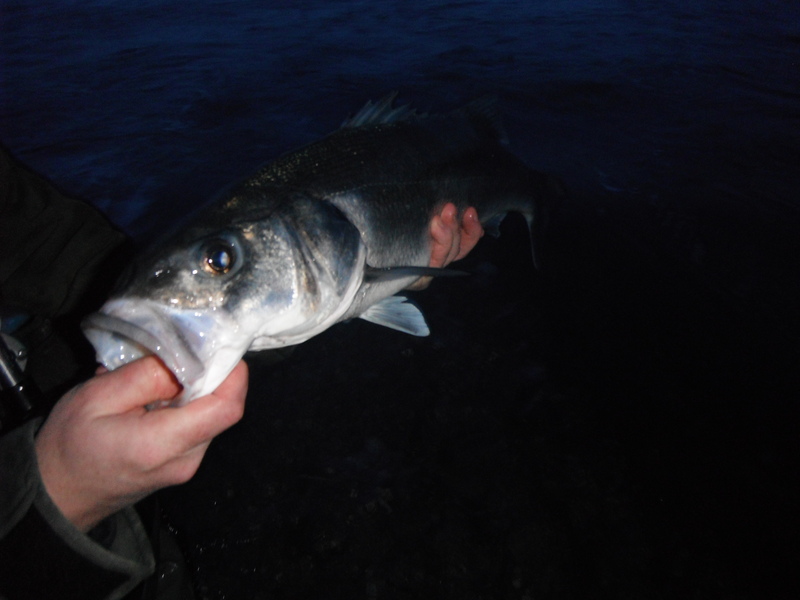 The conditions were good with a slight Easterly wind, a small amount of weed soon cleared as the tide pushed in. 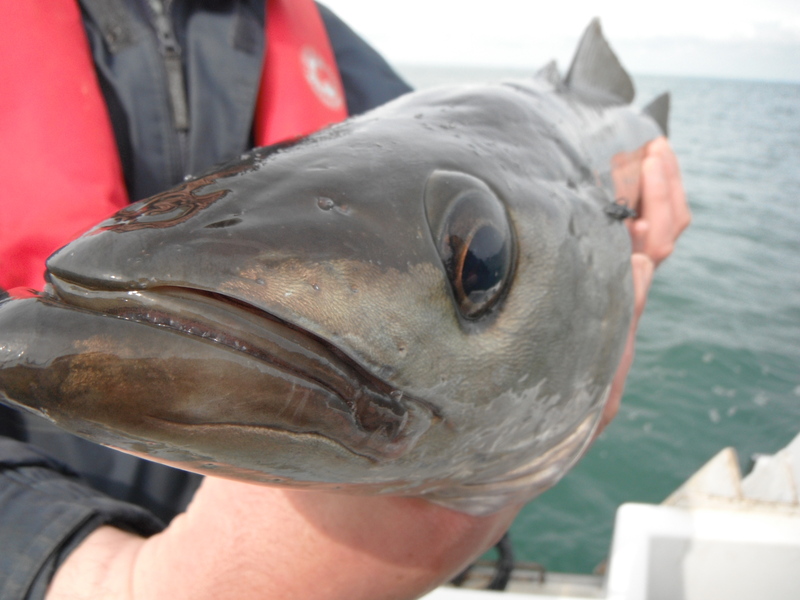 This Pollock took a Peaboy jig fished sink and draw at distance. 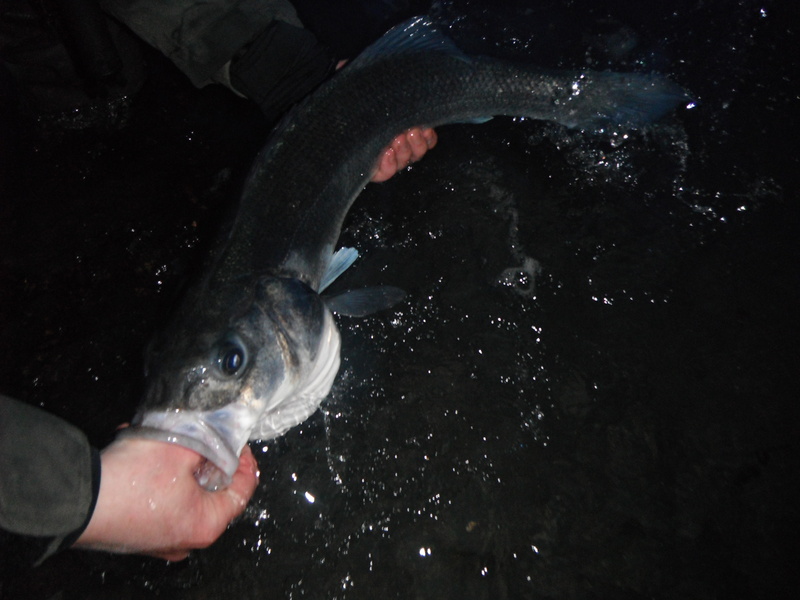 The following evening we encountered a serious amount of fish a good distance out on the jigs, these were good Pollock up to 5lb hitting and fighting extremely hard. 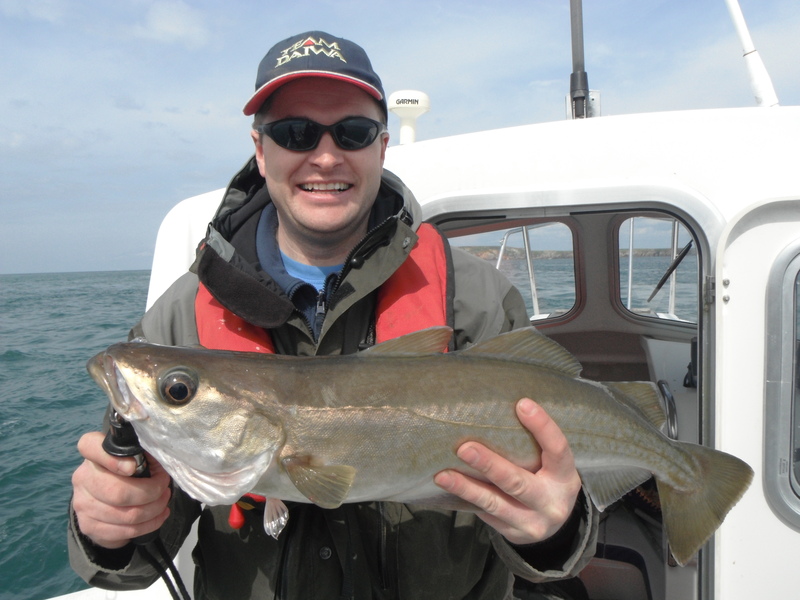 It was great craic trying to keep them from crashing into the kelp on the lure rods. We made another venture out on Sunday, the tide was nearing the neap and with no wind it made for a pleasant evening. 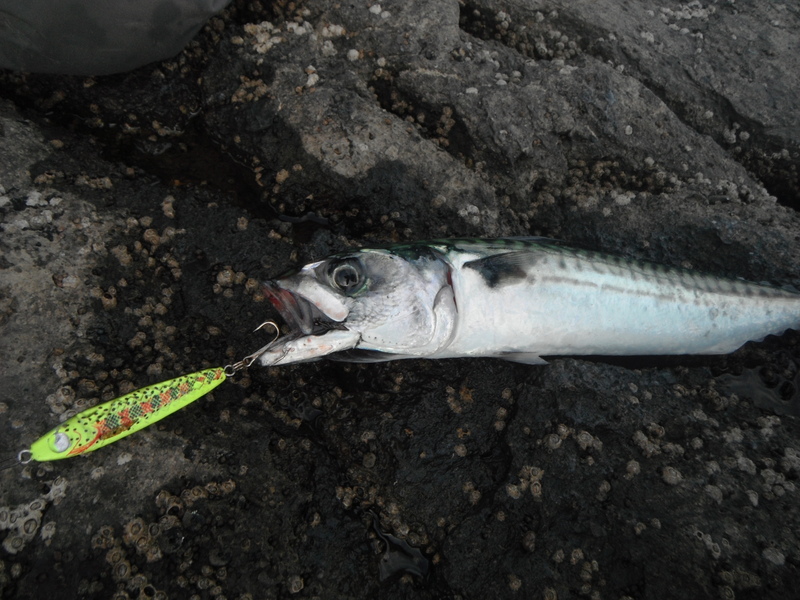 We tried several locations but the Pollock just did not show, Barry hooked a Billy no mates Mackerel on a Chartreuse Jig but that was all the action we seen. 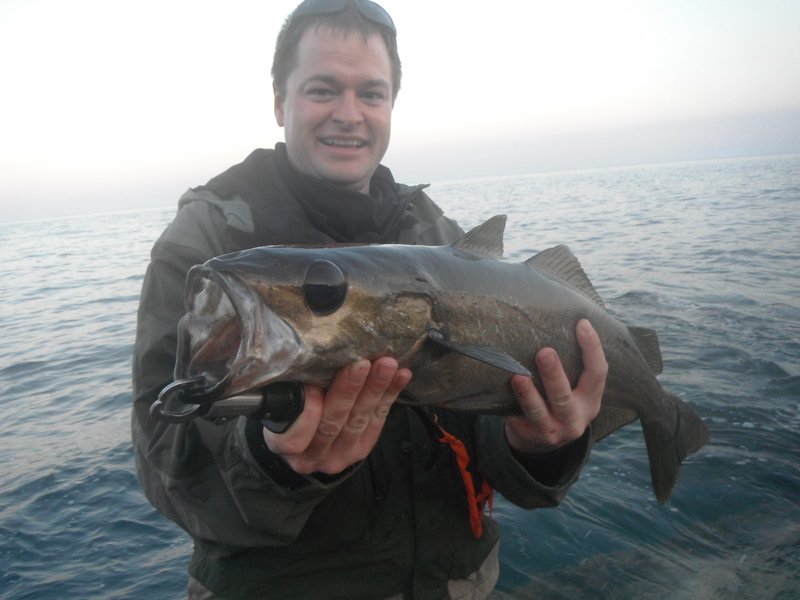 The swell and weed was quite heavy, which accounted for a few lost jigs! 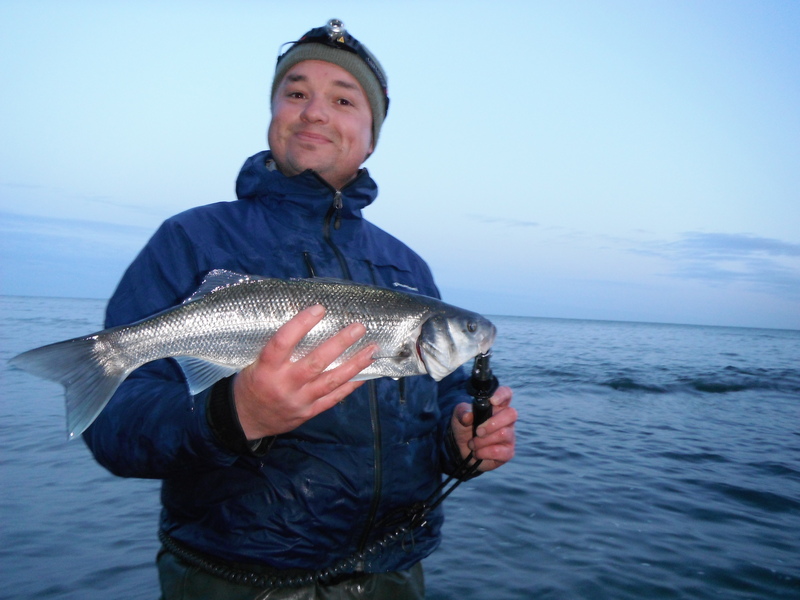 Kilmore on the Soft Plastics. I am a few weeks late on my updates…. May 6th 2012 We took our first excursion out to the Kilmore reefs on board Wahoo. 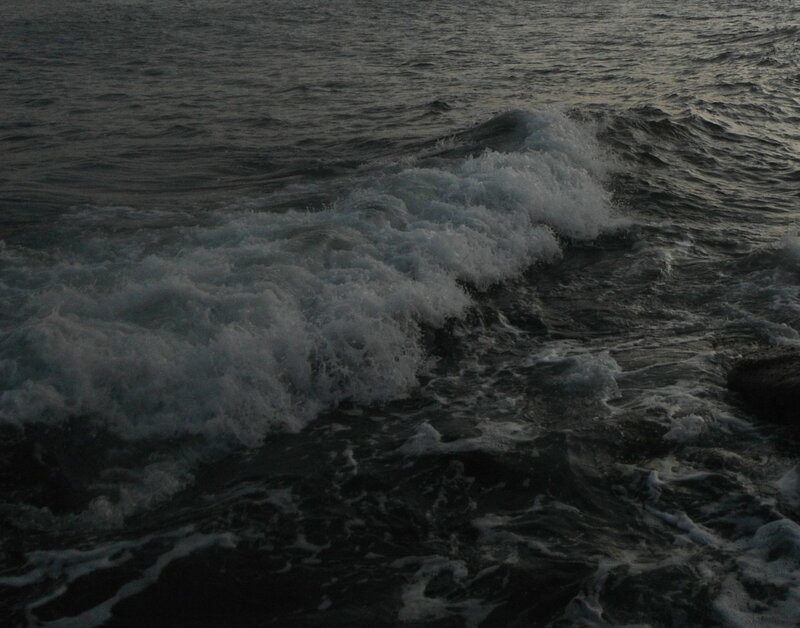 A full Moon ensured we would have a large tide to fish over throughout the course of the day. 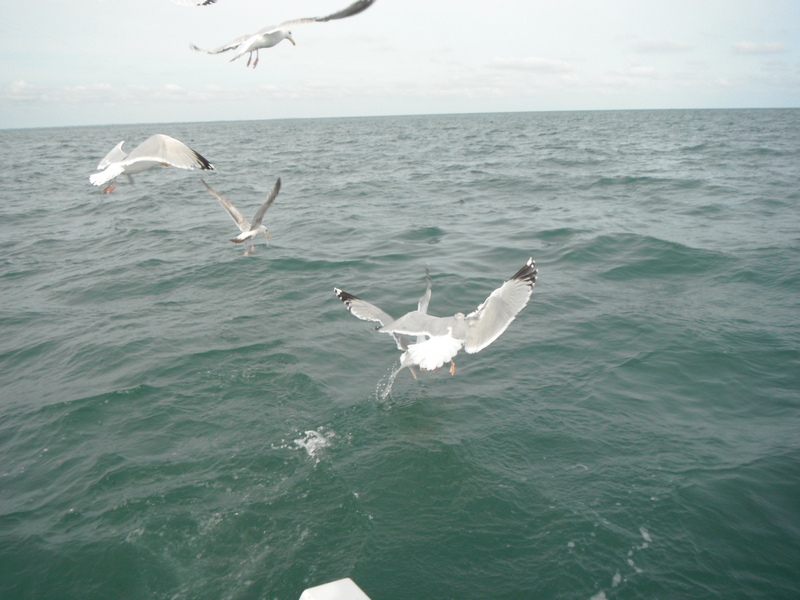 Conditions were calm with a slight offshore Northerly wind. The day did not start out great when the handle of the Bilge pump snapped while Pat was replacing the Diaphragm . It was looking bleak but Pat pulled it out of the bag with the aid of some well placed Silicone. We arrived to a busy slip at 09:30am some 5 hours later than planned. 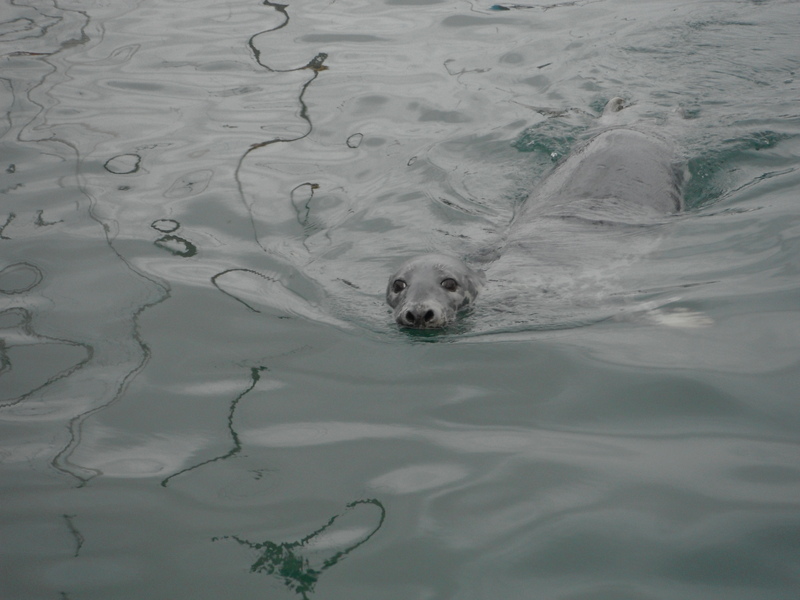 With the boat launched we were under way pushing out against a racing tide, delighted that we made it out eventually. There was plenty of boating activity around the island, the good weather obviously tempting a few of the smaller boats out. We initiated our first drift and flicked the Soft Plastics up tide. The tide was on the ebb and the drift was running at just over 3 knots, making us work hard to keep the lures in the strike zone. The fast run resulted in heavy loses on the business end with many a lure lost on the peaks and drop offs. Wave Worm rigged up and ready for action. Storm Sandeel rigged up and ready for action. 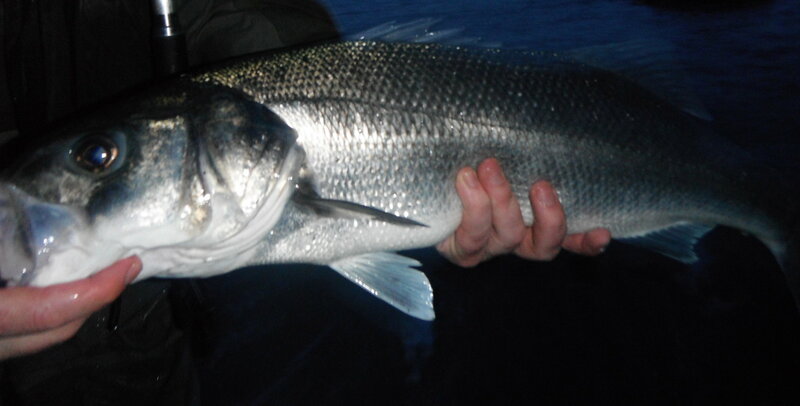 The fishing was patchy but produced some decent fish when the tide slackened off. 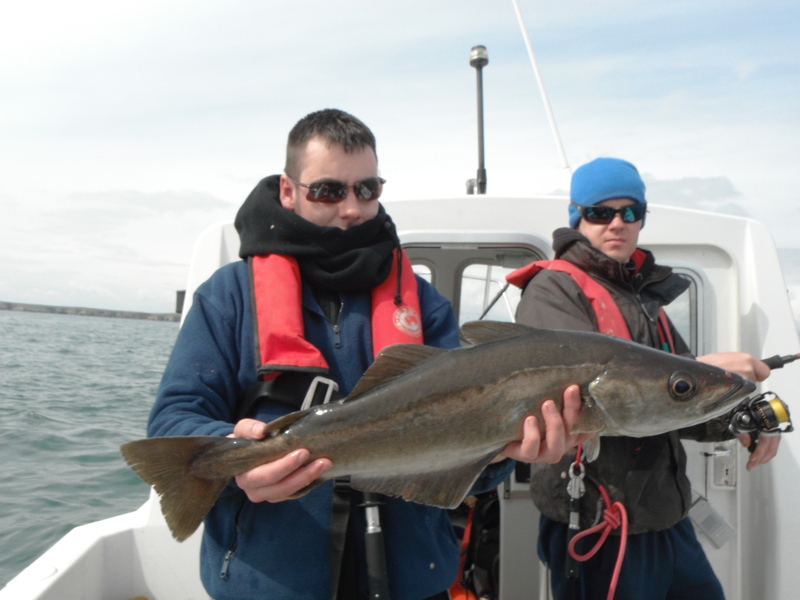 We landed Pollock, Wrasse, Coal Fish and Codling. Olive One Up Shad tempted this Cuckoo Wrasse. Pat with Pollock taken on a Slug Go. 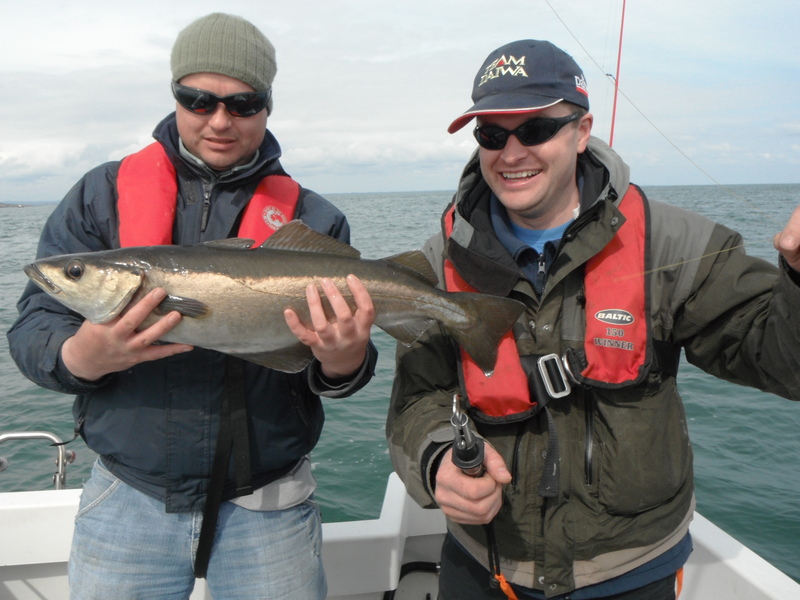 Crevan with a Kilmore Reef Pollock. The takes were varied from a small pluck to a full speed hit and run, there was no pattern throughout the day. 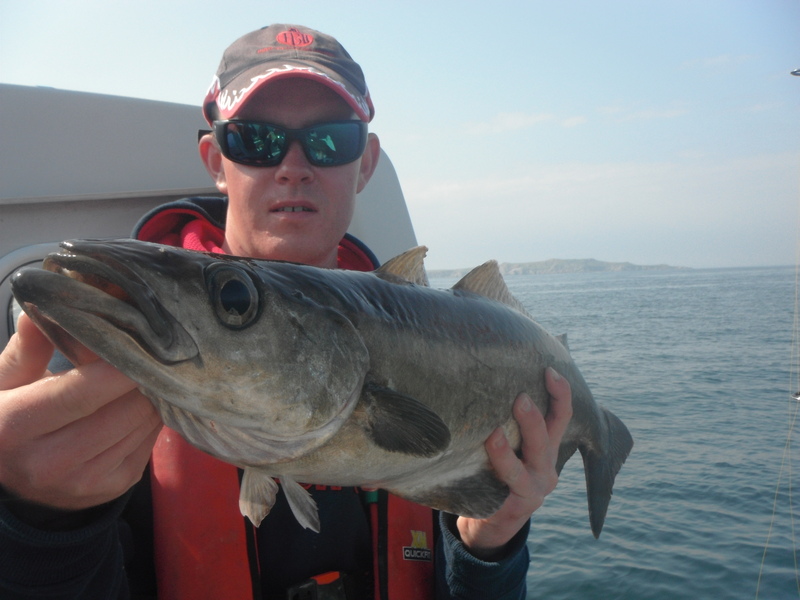 Danny with a Pollock taken on a Fin S Lure. The local bird population were stalking us as usual, and we seen a pod of Dolphins too which I tried to get on video before they were out of sight…. Plenty of competition for food. Squadron Leader and his mate. Crevan and Pat both hooked into 2 decent fish at the same time as we drifted over a drop off, among st the chaos of the 2 lines crossing and tangling, we approached a line of pots at pace. 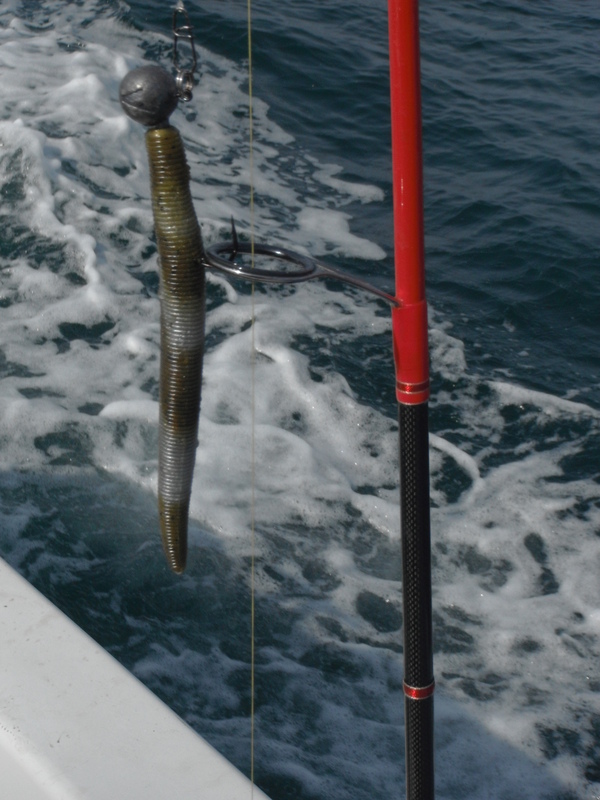 The result was Crevan landed his and Pat lost the lure and fish on the Pot rope….he was not a happy camper! Crevan with his fish and Pat with…that smile is fake! Barry with a Pollock taken on a Wave Worm. This plump Wrasse hit my Fin S worked hard on the bottom. Majority of fish were in the 3-5lb bracket with a few over to 8lb. 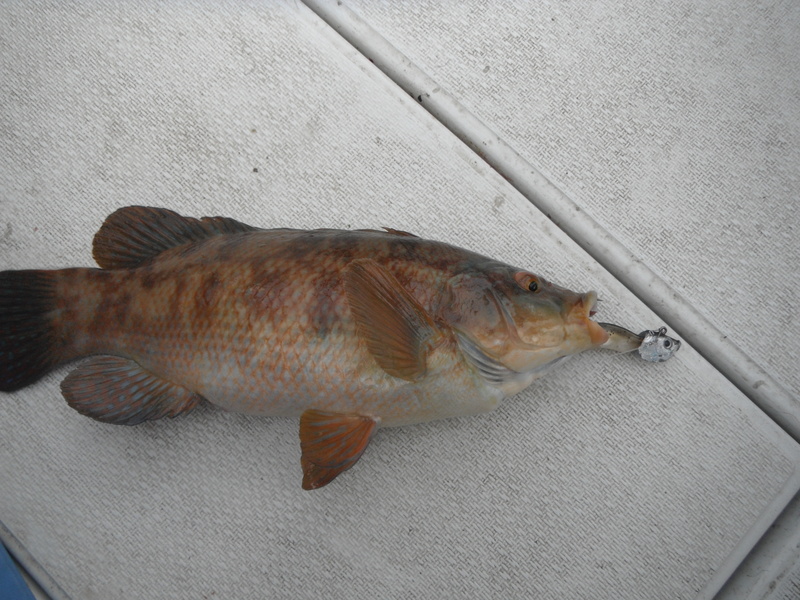 A lot of Wrasse in the 2-3lb bracket too. 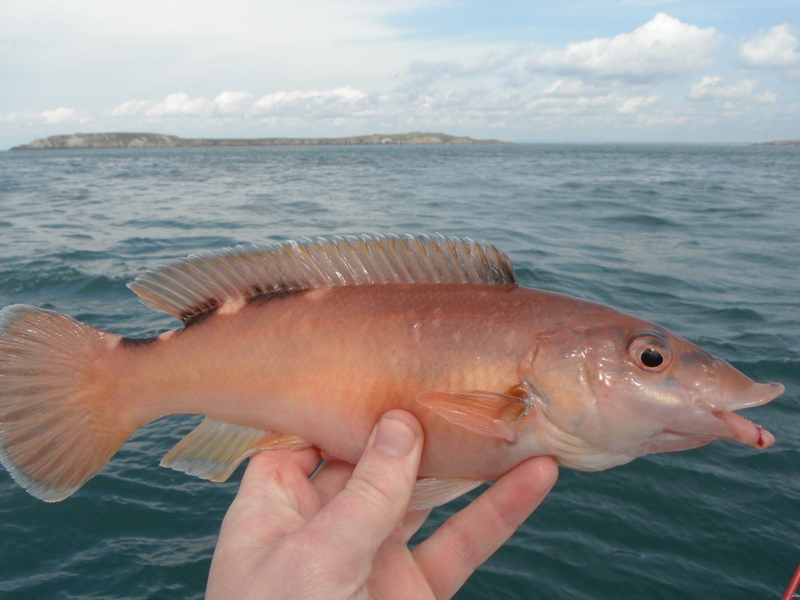 Codling were scare, we only encountered a handful of them during the day. 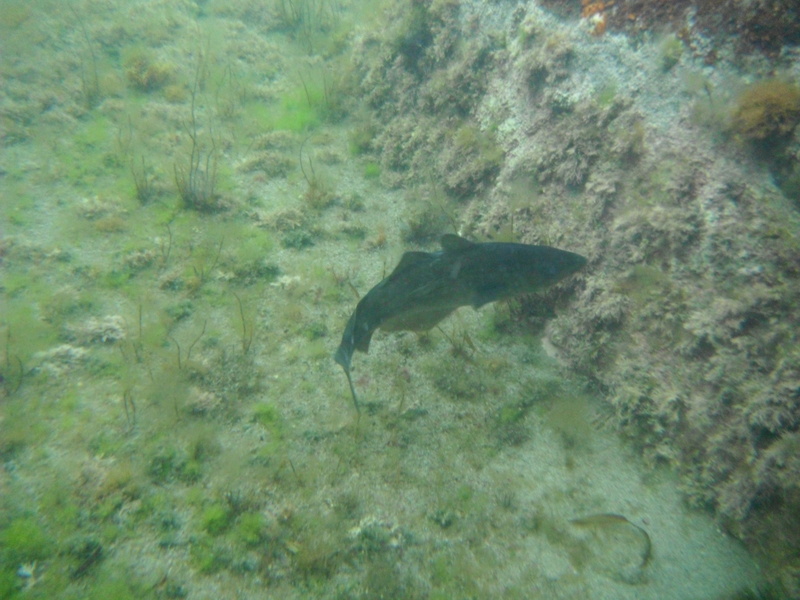 Coal fish were also fairly elusive on the day. No particular lure or color stood out during the day, the speed of the drift stopped us from settling on one area too long. We went out again last weekend and it proved to be alot more productive, update to follow soon. A look back at last week end. The weather was atrocious, not to put too fine a point on it. Friday afternoon arrived again and we were free from the shackles of work, regardless of weather there was only one direction were we heading …seawards. The tide was looking OK with a nice peak time, the plan had been agreed days in advance so there was no messing about, we got in there like swimwear! The chosen mark has been good to us on weaker tides, but this time it was choked with suspended weed, small fragments littered the layers. 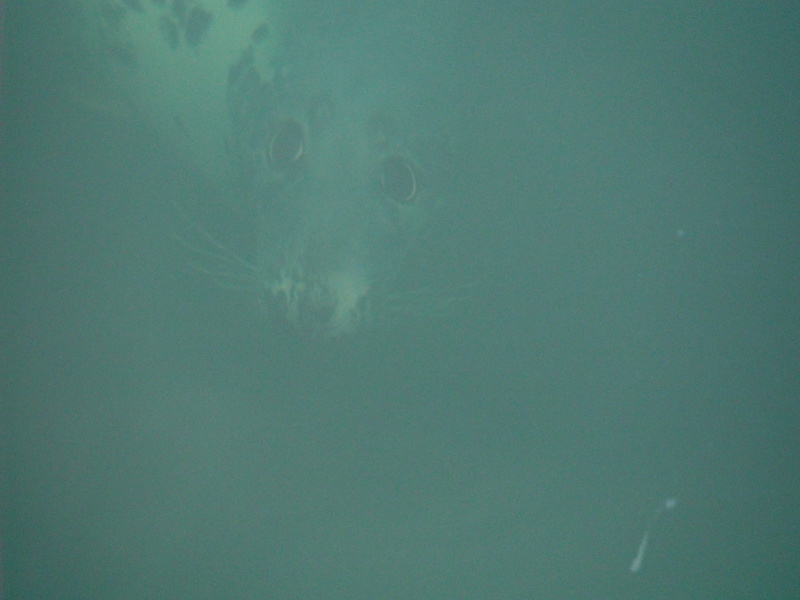 A couple of seals were approx 200yards further out than usual, they know the game and were out there for a reason. Our stubbornness saw us fish on for 2 fruitless hours, we don’t give in too easily. We scouted the area constantly moving as usual looking for a small break in the weed, we came across a fantastic looking area, previously overlooked . 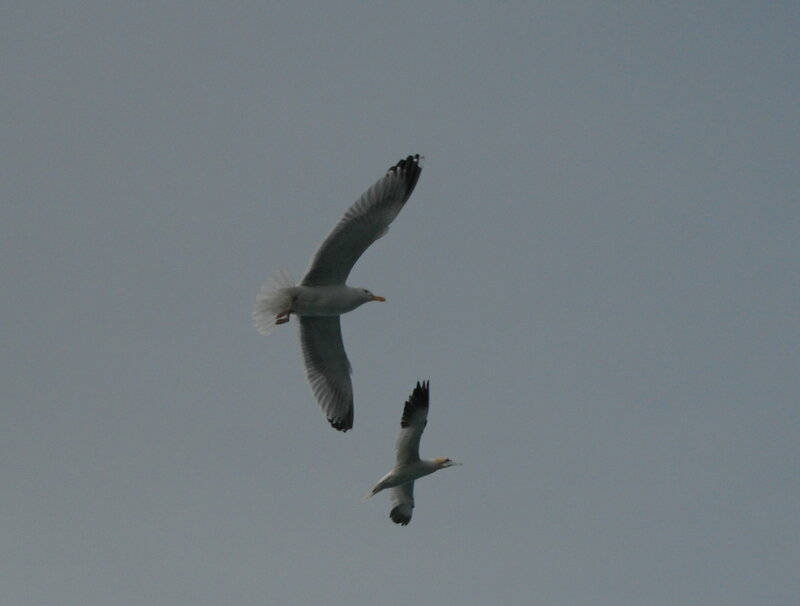 Our thoughts were confirmed by a couple of Gannets patrolling a very tight area for 30mins or so. This area was clean with a great flow through it, but we happened upon it to0 far into the tide, the area we wanted to get the lures into was just out of reach this time. A quick look at the watch indicated 60mins of rising water left, options limited with weather and tide we made a call and gave the Pony some nuts ( Copy Right Pat Gahan 🙂 ). We arrived on the second location but Crevan was not convinced, communicated through ‘Im not feeling it’ ( Copy Right Crevan 🙂 ). I was feeling the Buzz so there was no debate from me, I was down to the mark as quick as I could set the pace. I Dont think Crevan and Pat were sharing my Buzz, I was just happy to be out of work/house for a few hours and no weed was gonna take the shine off it! We split up a few hundred yards apart, conditions were better here, and it wasn’t long before Crevan changed his tune, I could he was bent into the first fish in the distance and Pat confirmed it as he raced across the rocks. I followed suit and grabbed a quick picture and called Barry to tell him it was worth coming out for a while. Is this man feeling it ? I made my way back and began fishing again, and was soon rewarded with a nice fish which fell to an X-140 on an erratic retrieve. A bit of commotion followed before the fish was brought under control, it was a lively one, long lean with a big head. Did I say I had a Buzzz…. Pat joined me and we fished into the fall, I connected with and landed another Bass, this time the fish took took the lure very timidly, similar to a take on ‘dead sticked’ soft plastic. I unhooked the fish in the water and it shot off, I think shes been here before! 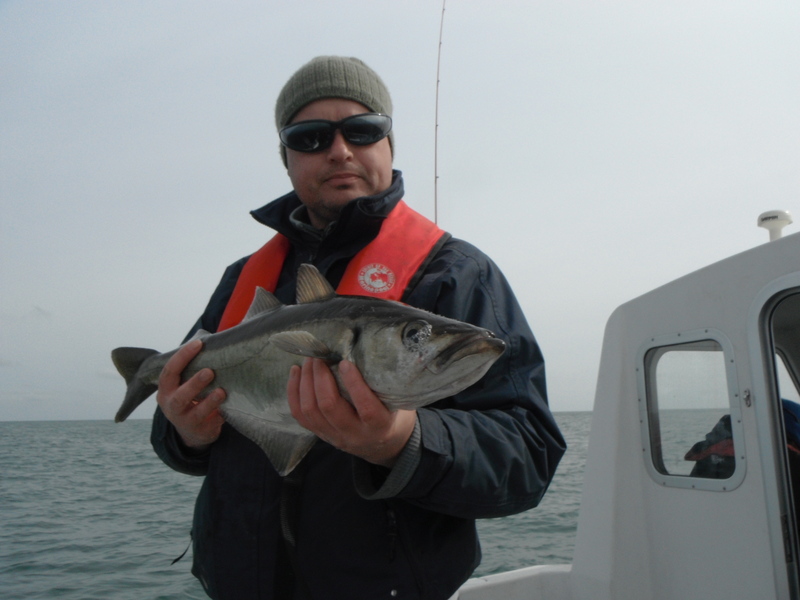 That was all my fishing for last week end, fingers crossed for this weekend we might just get out on the boat in Kilmore for the first time this year….